JOHANNESBURG — Cholera cases in Mozambique among survivors of a devastating cyclone have shot up to 139, officials said, as nearly 1 million vaccine doses were rushed to the region and health workers desperately tried to improvise treatment space for victims. Cholera causes acute diarrhea, is spread by contaminated food and water and can kill within hours if not treated. The disease is a major concern for the hundreds of thousands of cyclone survivors in the southern African nation now living in squalid conditions in camps, schools or damaged homes. The Portuguese news agency Lusa quoted Mozambique national health official Ussein Isse for the new toll. Isse declared the outbreak on Wednesday with just five confirmed cases. Far more cholera cases already were feared. The medical charity Doctors Without Borders told The Associated Press it is seeing around 200 likely cholera cases a day in the Indian Ocean port city of Beira alone. The city of some 500,000 people is the hub of cyclone relief efforts. The World Health Organization has warned of a "second disaster" if waterborne diseases like cholera spread in the impoverished nation. It said 900,000 oral cholera vaccines were expected to arrive Monday and a vaccination campaign will begin late next week. WHO also has opened seven treatment centers with a total of 400 beds, including 100 in Beira. "We assume that there are lots of people who will get sick and we want to get prepared," spokesman Tarik Jasarevic told reporters in Geneva. Health workers are treating every case of diarrhea as though it were cholera, Sebastian Rhodes Stampa, the deputy U.N. humanitarian coordinator for Mozambique, told reporters. While cholera is endemic to the region, "when it does break out, it breaks out fast and it travels extremely fast," he said, stressing the need to strengthen disease surveillance. 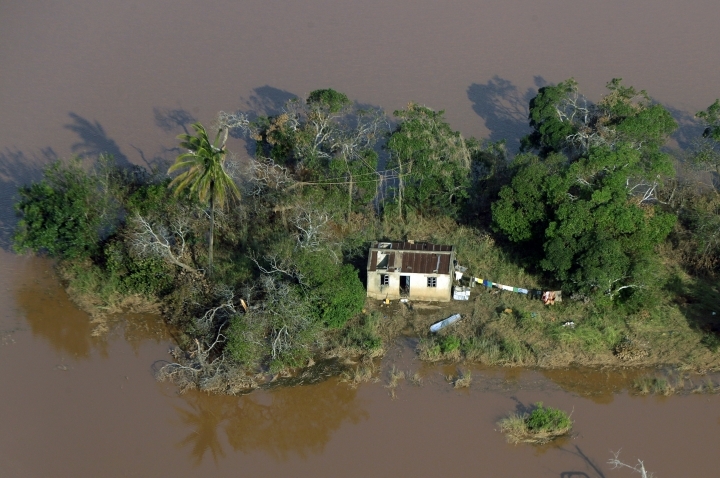 Cyclone Idai, which stuck March 14, destroyed more than 50 health care clinics in central Mozambique, complicating the work to contain the disease, Radio Mozambique cited disaster management official Rui Costa as saying. It is not yet clear whether any cholera deaths have been confirmed. "We're not going to test every single case (for cholera) because it's not difficult to recognize when you look at the diarrhea of a patient. Once you see it once, you always recognize it," Gert Verdonck, Doctors Without Borders' emergency coordinator for Beira, told the AP. Other suspected cholera cases are outside Beira in the badly hit areas of Buzi, Tica and Nhamathanda, he said, but the chance of spreading in rural areas is smaller because people are more dispersed. In urban areas, however, cholera "can have a huge impact if not contained quickly," Verdonck said. He said the 900,000 vaccine doses should be enough to cover targeted areas but that a second dose should be given after two weeks to strengthen protection. The speed of the outbreak came as a surprise, he said. Earlier this week workers found 40 to 50 people with acute diarrhea at a health center in Munhava, one of Beira's poorest neighborhoods. "We had to improvise," he said. Without space for the usual treatment setup of beds with holes and buckets underneath, they carved holes in plastic chairs instead for patients with enough strength to sit upright. Outside, nails were pounded into walls to hand IV drips to rehydrate patients. "You cannot wait to have a nice five-star tent," Verdonck said. "We tried to go as quickly as possible." Cholera is not difficult to treat but the treatment needs to occur as early as possible, he said. 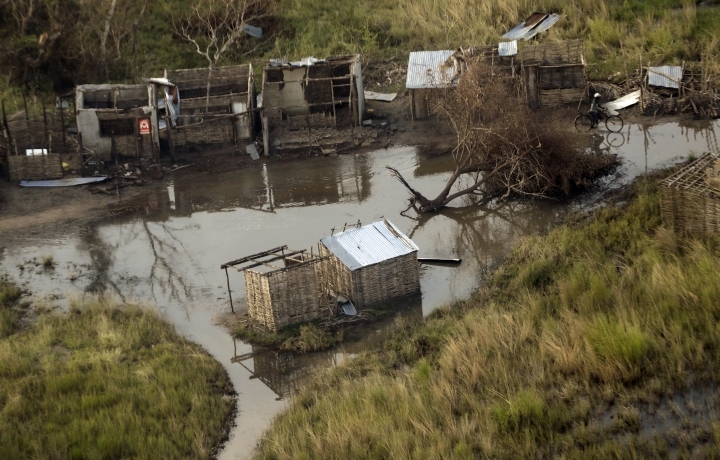 The cyclone badly damaged Beira's water supply, adding to the city's cholera risks. 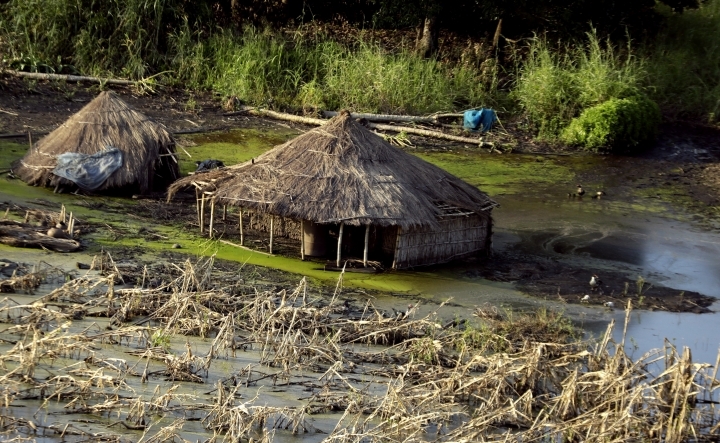 Some people have resorted to drinking stagnant water by the side of the road, increasing the chances of diarrhea. Others are drinking water from contaminated wells. Some of the hardest-hit communities remain cut off from aid 15 days after the cyclone, and people are relying on heavily polluted water, the International Committee of the Red Cross said. "You can imagine how much we are sitting on a water and sanitation ticking time bomb," the secretary-general of the International Federation of Red Cross and Red Crescent Societies, Elhadj As Sy, told the AP after visiting a school where 3,000 survivors had only six toilets to use. The cyclone death toll in Mozambique inched up to 493 on Friday, with at least 259 dead in Zimbabwe and 56 in Malawi. Officials have warned that those numbers are preliminary and final figures may never be known. Some bodies have been found and buried without being registered with authorities. Others were washed away by the power of the storm. Officials in Zimbabwe have not announced any cholera cases in the country's cyclone-hit region. 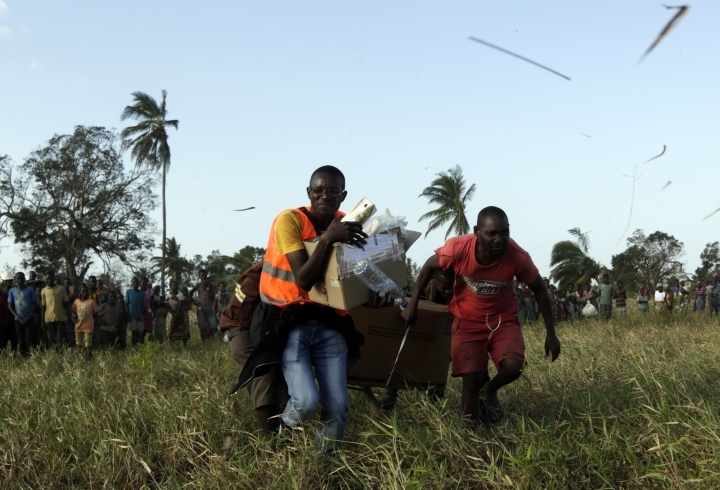 Mozambique President Filipe Nyusi has said the search and rescue phase has ended. He also declared that health care will be free for residents in cyclone-hit areas until the end of the year, Lusa reported. Associated Press writers Jamey Keaten in Geneva, Farai Mutsaka in Harare, Zimbabwe, and Edith M. Lederer at the United Nations contributed to this report.